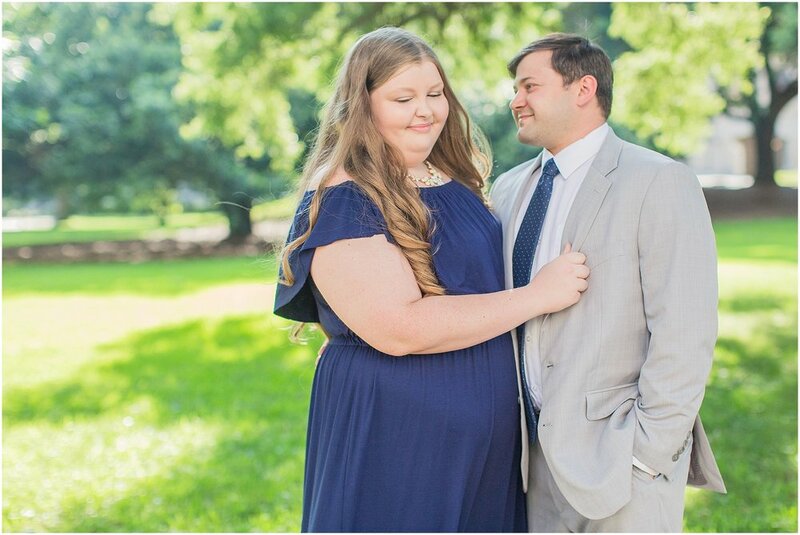 Amanda & AJ were introduced during their college years at USM, they're both studying to be teachers, & their first date was at my all time favorite place to eat, Raising Cane's, so you know I just loved these two from the start!! 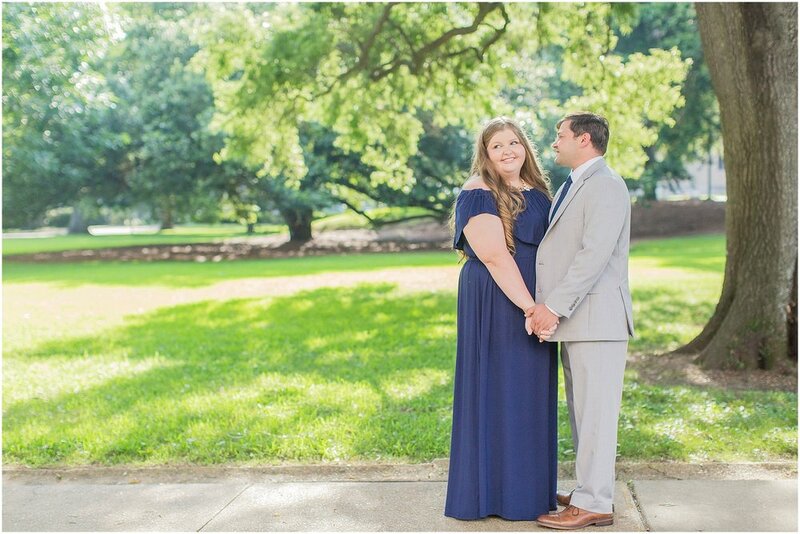 We had so much fun during their engagement session on Wednesday afternoon in downtown Jackson, & I'm SO thankful we didn't have to reschedule their session as the forecast had been predicting rain all week! As I was driving home after their session, sky turned dark & the bottom fell out, so we were super lucky that their session ended with golden hour light before the storm came!! Amanda & AJ's wedding will be my first one of 2019, so I'm SO excited to get to kick off next year celebrating their day at the Railroad District!! From the details & plans Amanda & AJ have already told me about, I just know their day is going to be so amazing!! I can't wait! !